Pranvera Tika is a political scientist. 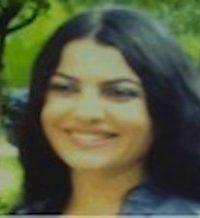 Her main academic and research interests include the broad spectrum of the processes of democratization in the Balkans, right-wing extremism in Europe and in the Balkans, populism, comparative politics, euroscepticism, antisemitism, conspiracy theories, social movements, political parties, and globalization. She is completing her Ph.D. thesis at Panteion University in Athens with an emphasis on the process of democratization in the Balkan area after the fall of communism, i.e. particularly in Albania, Bulgaria, and Romania. She has a master’s degree in political science from the University of Panteion in Athens and an undergraduate degree in Social Policy from the same university. She has been involved in different European projects concerning the phenomena of social and political radicalism, the development of the comparative research and secondary analysis (Socialdatanet). She is a member of the Hellenic Political Science Association (HPSA) and the Hellenic League of the Human Rights. Vera speaks Albanian, Greek, Italian, French, Spanish, English, and some Bulgarian. “From the Margins to the Frenzy Rise: Right-Wing Extremism in Greece: The Case of Golden Dawn.” Social Movements in Central and Eastern Europe: A Renewal of Protests and Democracy, edited by Geoffrey Pleyers and Ionel N. Sava, Romania, 2015.